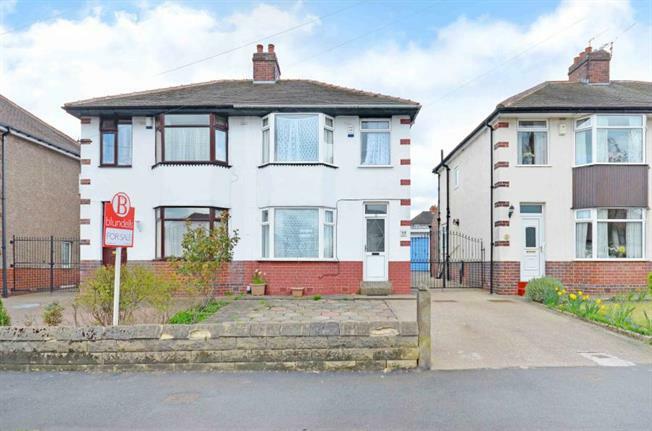 3 Bedroom Semi Detached House For Sale in Sheffield for Guide Price £125,000. A 3 bedroom bay windowed semi detached house set on a popular road which may prove of interest to first time buyers or young family. The property has the benefit of gas central heating, double glazing , detached garage and good size garden to the rear. Enjoying a convenient position close to a host of local amenities with a good selection of shops and schools within close proximity. The property is well placed for access to the Northern General Hospital, Meadowhall, The M1 Motorway and Sheffield City Centre.